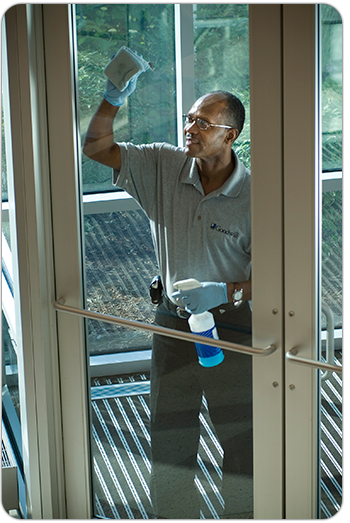 Goodwill provides custodial training with paid work experience and placement services for people with barriers to employment in the Milwaukee and Waukesha counties. Participants who want to pursue a career in Custodial Services will receive both classroom and on-site training. Possible careers include those incustodial and housekeeping services in the hospitality, health care, waste management, and food service industries. Goodwill is an active member of ISSA, the cleaning industry’s largest network and service provider; and members of Goodwill’s staff are certified trainers-of-trainers for the Cleaning Management Institute (CMI), a leading national custodial training organization. Goodwill uses Green Seal Certified cleaning products for the full-service cleaning of restrooms, corridors, offices, and public places. For hours and other program information contact our Intake Coordinator at (855) 455-1110.